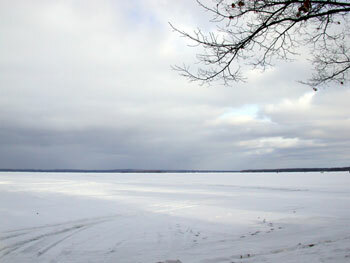 Some time back I promised a photo of our new home, Higgins Lake, Michigan. We’ve lost most of the snow you see in this photo but the lake is still ice covered and will be for some time. We’re loving it here in the North Country.